On Saturday April 20 2013 the "Whisky in Leiden" Festival took place. Leiden is a city in the west of the Netherlands, between Amsterdam and the Hague and well worth a visit when you're around. In Leiden the first university in the Netherlands was founded in 1575. Venue of the festival was the "Stadsgehoorzaal", a 19th century building, still used for plays and concerts. The people of Whiskysite.nl picked exactly the right spot for this event. Right in the middle of town and, very important, easy accessible for public transport. The day was divided in two sessions, one in the afternoon and one in the evening. Whiskytips visited the afternoon session. This festival has it's own character amongst the other festivals around. First of all there's a relaxed atmosphere, due to the limited number of people per session (ca. 500) and the fact that there is no real commercial drive. Sure, the people manning the stalls want to enlighten the products they represent, but since it's not allowed by Dutch law to sell products during these kinds of events, you get more than a sales talk. You don't have to wait too long to get a dram and there's time for a serious whisky chat. If something like that exists in the first place. Another good thing is that rolls, with (Dutch..) cheese and ham are included in the ticketprice. So you see most people taking a little break to have something to eat, which also helps preventing people becoming too enthusiastic in tasting. At the festival there is a nice blend between official importers and bottlings and small independents, like Kintra, Sansibar and Whiskyman. For the starting whisky aficionado there are a lot of drams to be tasted without having to pay extra. 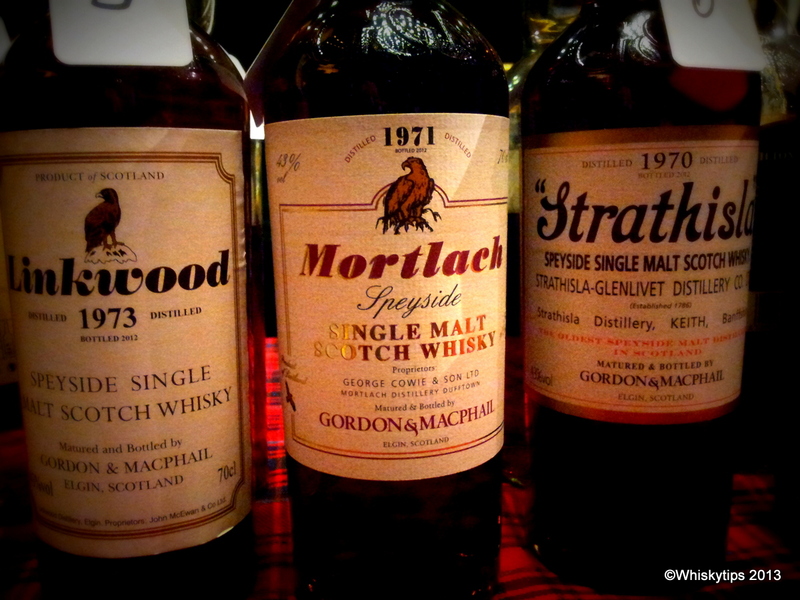 For the more experienced whiskytaster you can spend a few extra euros and try some excellent old malts. This brings us to one dilemma: tasting the rare and old first to prevent the risk of becoming taste-numb at the end of a session or, save the best thing for last to prevent the tastebuds becoming too spoiled right at the beginning. We chose the latter option. Which brought us to the people of Van Wees, a famous Dutch importer of whisky, who have their own range called The Ultimate Collection. 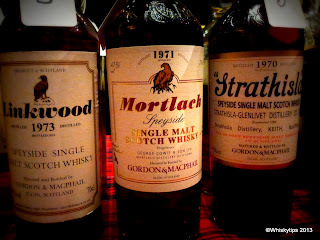 For just € 6 we tasted a Mortlach 1971, bottled by Gordon & MacPhail. For a whisky like that you really have to take your time, so we started to nose this gem half an hour before closing time, giving this whisky the respect it deserves. All in all a great event, well organised by the people of Whiskysite, let's hope they will keep this concept (and venue) for next year's edition.